Professor of biology Laura J. Ekstrom has published an article with coauthors Chris Panzini ’14 and Professor Gary B. Gillis of Mt. Holyoke College. Prior research had established that toads use multiple sensory systems to hop safely and accurately. The research of Ekstrom and her coauthors explored the role of vision by comparing normal and blind toads. Using electromyography (EMG), they recorded the electrical activity produced by toad’s skeletal muscles as they hopped and found it similar in sighted and blind toads. In both populations the hops were well-coordinated, but sighted toads landed with better accuracy. Analysis indicates that vision is responsible for fine-tuning the motor control of landings. Talia Lopez ’13 and Nicholas Hebda ’14 consult with Professor Laura Macesic Ekstrom during a lab. Professor Ekstrom studies locomotion in a variety of animals. She is currently working with the the cane toad to explore how the vertebrate body stabilizes itself upon impact. This article is a continuation of research done by her student Chris Panzini for his senior thesis, The role of vision in the ability of cane toads (Bufo marinus) to dissipate three-dimensional forces. Chris was a Chemistry/Neuroscience double major at Wheaton and after graduating worked as a research technician at Boston Children’s Hospital/ Harvard Medical School. His team worked to understand the brain’s serotonin system, specifically how it malfunctions in different disease states. He is currently a clinical research associate at Massachusetts General Hospital. 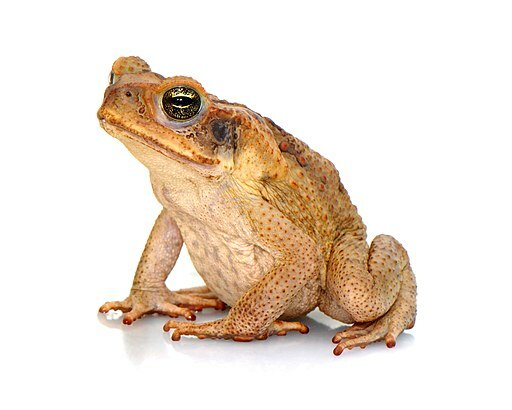 The Royal Society published “Vision fine-tunes preparation for landing in the cane toad, Rhinella marina”, September 2018, Volume 14, issue 9.